Yayasan Emas Artisanal Indonesia (YEAI) is the local affiliate of the Artisanal Gold Council (AGC) a not-for-profit organization based out of Victoria, British Columbia, Canada. 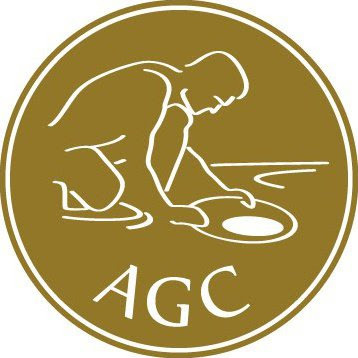 AGC is dedicated to improving the opportunities, environment, and health of the millions of people involved in Artisanal and Small-Scale Gold Mining in the developing world, and in doing so, improving the global gold sector. Sustainable Development of the Artisanal and Small-scale Gold Mining (ASGM) in Indonesia is a 5-year project (2015-2019) that AGC is implementing for Global Affairs Canada in partnership with Indonesian NGOs. The project aims to improve incomes, health, and the environment of the vulnerable and marginalized men and women dependent on the Artisanal and Small-scale Gold Mining (ASGM) economy in proposed target areas in Central Kalimantan and other provinces in Indonesia. The project improves mining, environmental and social practices for men and women involved in the ASGM, including identifying alternatives to mercury use. The project also supports targeted provincial governments to better collaborate with the formal extractive sector and support the formalization of ASGM activities through legal trade of responsible artisanal gold and value-added products in domestic and international markets. Activities include: (1) provide training on better practices for men and women miners; (2) provide training to targeted government and civil society groups on ASGM regulation and management; and (3) establish collaborative mechanisms with other relevant initiatives promoting responsible gold and diversification of the ASGM economy. This initiative supports the Government of Indonesia’s implementation of the Minamata Convention on mercury, which both Canada and Indonesia signed in 2013. The Mineral Processing Engineer focus in improving ore processing systems for the ASGM sector. He/She will assist the AGC in designing, improving, providing maintenance building, installing, and operating/training mineral processing systems for our various projects with a focus on mercury free high recovery systems. He/She will also assist the AGC in conducting exploratory visits to various ASGM sites to determine viability of sites for AGC’s project. The Mineral Processing Engineer is also required to engaged in the community to lead, participate in the holistic in community engagement with ASGM communities and will participate in the holistic implementation approaches that the AGC develops. University degree in mining or metallurgy will be a plus but not required. Personal skills, open to challenges and enthusiastic. Vacancy will be closed 21 September 2018 and only short-listed candidates will be contacted for interview. We look forward to hearing from those who are interested in taking this opportunity to grow and develop with us.